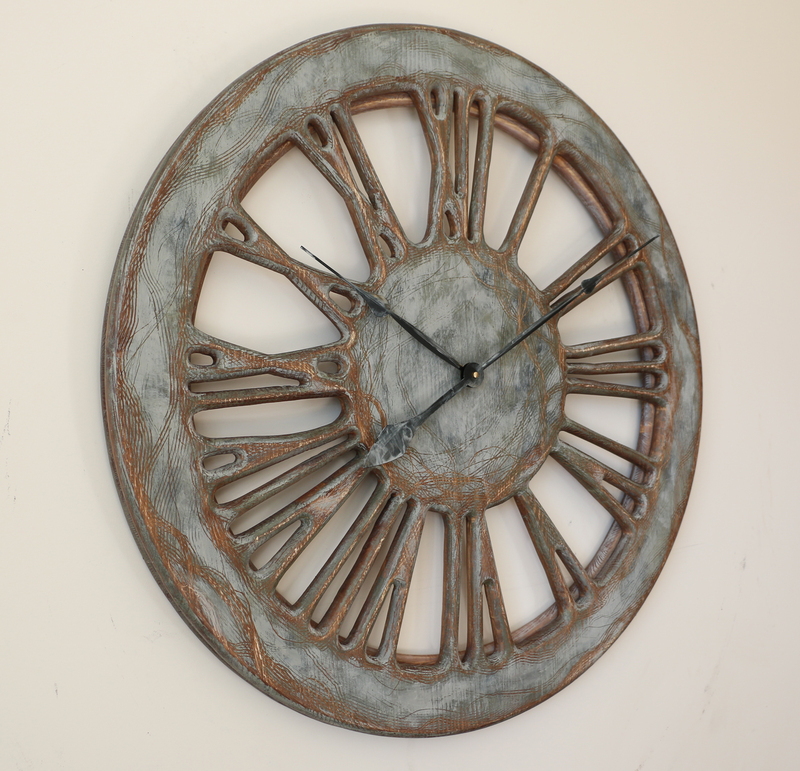 French Wall Clock in Shabby Chic Style. Handmade & Hand Painted. 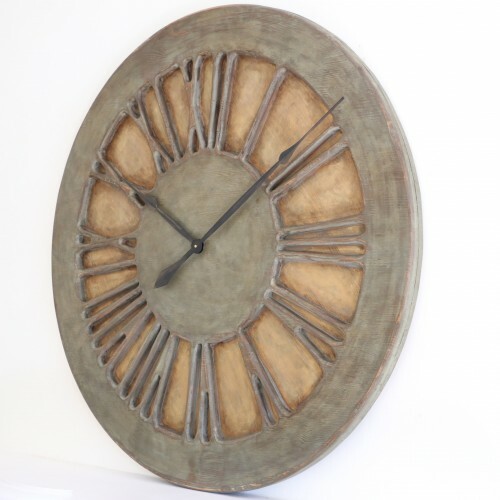 The Classic Shabby Chic is a french wall clock that is handmade from two large panels of pine wood. 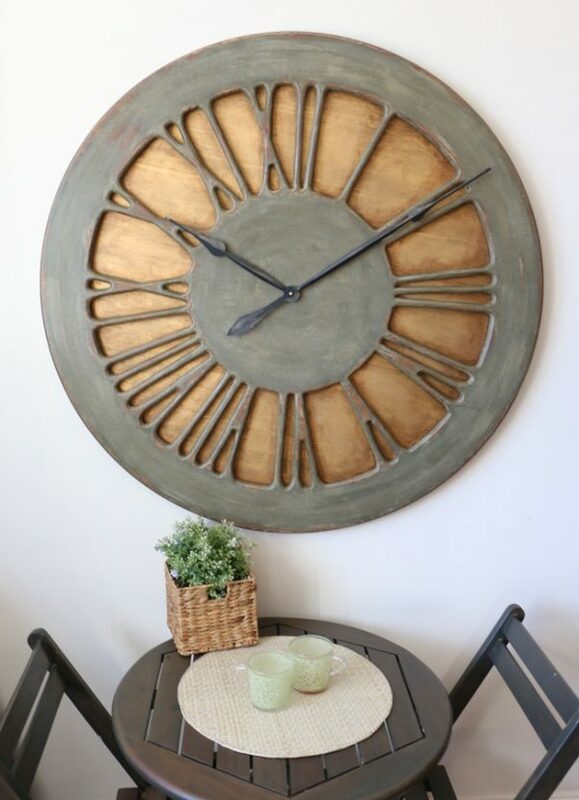 The clock face is displaying carefully crafted Roman Numerals on a hand painted golden background. 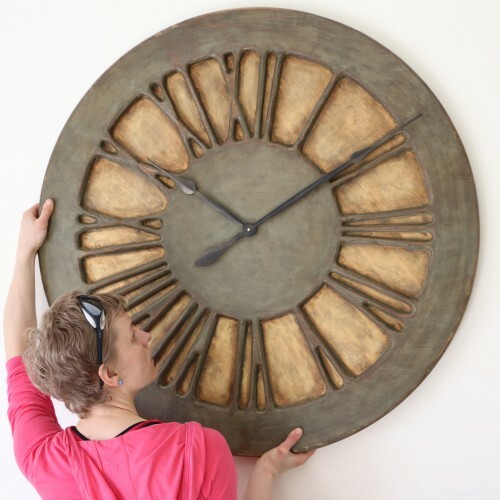 Many people looking to decorate their living space with a large timepiece often ask about french or antique wall clocks. Retro design adds a lot of character and with handmade nature of each piece it provides a true “wow” factor. This wonderful design is available in few different sizes that you can select from the drop down list. If you look at any Shabby Chic interiors you will find that the beauty is in imperfection. 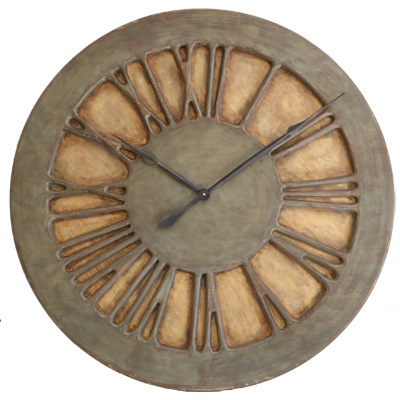 Our “Classic Shabby Chic” is the most captivating french wall clock for your dining area. The front of this fabulous timepiece displays large, hand carved Roman Numerals while the aged golden background complements its rustic look. Have you got eccentric and demanding taste when it comes to home decor? We can assure you that all our products will add a lot of character to your place. They will provide very strong wow factor on the most demanding art connoisseurs. All of those timepieces are hand cut from two massive panels of pine wood, hand painted and bolted together. Each design is very unique and provides alternative for various interiors. Each clock has the most powerful Quartz sweep movement and requires a single C Cell battery. It is delivered with hands detached to prevent any damage in transit. You can also watch the short video on Peak Art Youtube Channel where I demonstrate attaching the clock hands and setting the time. Our wall clocks are the most magnificent and expensive pieces of art. They will come to your mind when you start redecorating your living space. That is because you can display them in your house, office, restaurant or luxury penthouse apartment. Wherever you plan to mount them, make sure it is not too close to direct heat or moisture sources. All our products are only for internal use and aren’t weather resistant. 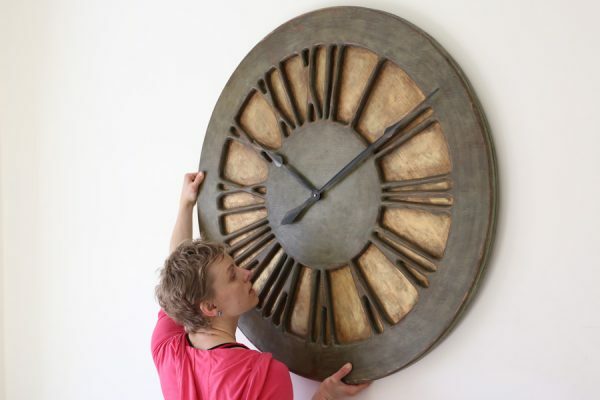 Don’t follow old habits if you are looking for large wall clock for living room. You now have a choice between quality wall art and cheap mass production. So, lets make the large wooden wall clocks from Peak Art the new fashion and interior design trend. We have thousands of followers on our Facebook Page so join us there and let us know what you think.